Ron Cobb may be the ultimate Byrnes Scholar. If nothing else, he inherits the title simply from longevity. 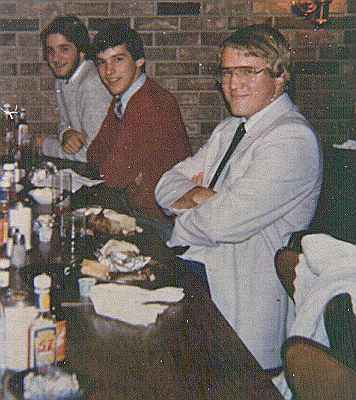 From Furman University as an undergraduate to graduate study at Princeton, Wake Forest, Vanderbilt, and Harvard Medical School, and maybe a few others in between, Ron more or less has been a college student in one capacity or another since 1980, his scholarship year. Since the Byrnes scholarship only covered the first four years, I understand he is now planning to study finance and maybe law so he can juggle his student loan obligations before he finally packs it in and joins the rest of us in the working world. Humor aside  he is a Neuropsychology Fellow at McLean Hospital in Belmont, MA, and has an appointment as a Clinical Fellow in Neuropsychology at Harvard Medical School  Ron is a perfect example of what makes a Byrnes scholar. 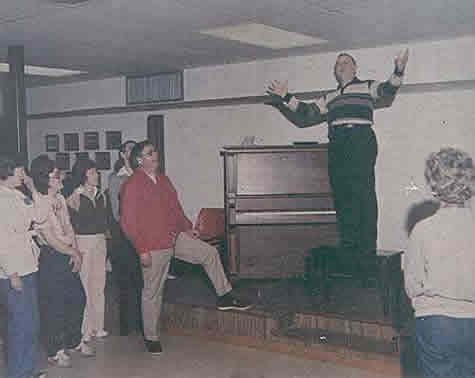 As the master of ceremonies at Super Weekend talent night each year, his renditions of Little Ditches and Elma Turl are now Byrnes standards. In his quiet, unassuming way, he brings love, wit, and stability to the many lives he touches. He is a wonderful, caring listener, always doing the small things that make others comfortable and happy.  introduction by Chester Caulder, 1979 Scholar. Since the 1970s, photo albums chronicling the James F. Byrnes Foundation and its scholars, alumni, and directors, have been collected and are held at the Foundation office in Columbia. They appear free for viewing every year at Super Weekend the 3rd weekend of March. The following slides are taken from the book for 1980-1981, which is the year I received my scholarship and attended my first Super Weekend. 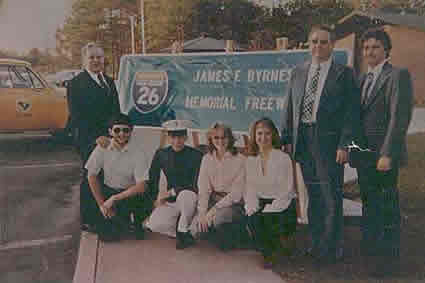 Before applying for this scholarship, some of you may have been familiar with the name of James F. Byrnes only as a name attached to Interstate 26. Today we welcome you, the 2002 Byrnes Scholars, into the Byrnes family, and begin your education regarding the legacy of this great man, and the foundation he created. 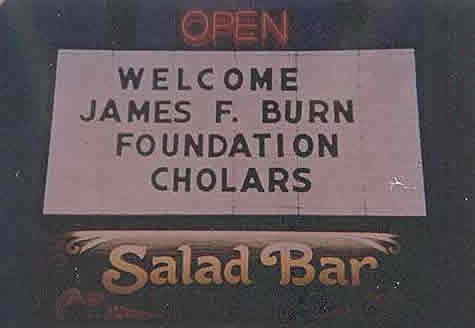 The first lesson you need to learn is how to spell Byrnes. And knowing how to spell scholars doesnt hurt either. 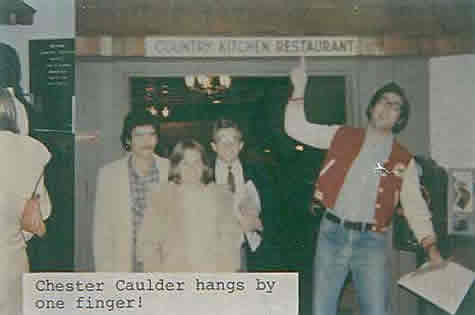 I received my scholarship in 1980. 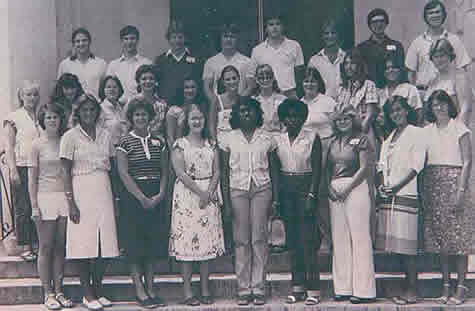 This class was one of the largest in Byrnes Foundation history. When I look around at my classmates, and at myself, I sometimes wonder if that year the directors decided to go for quantity over quality. I still am not quite sure why I was chosen as a Byrnes Scholar. 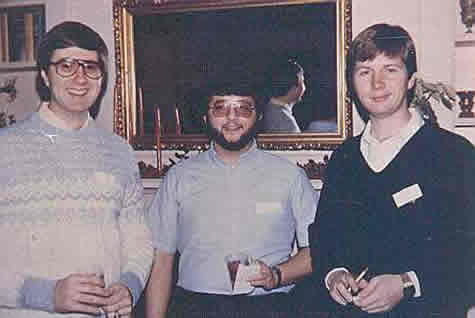 At the Christmas party that December, I am standing here with Kirby Winstead and Randy Bailey. 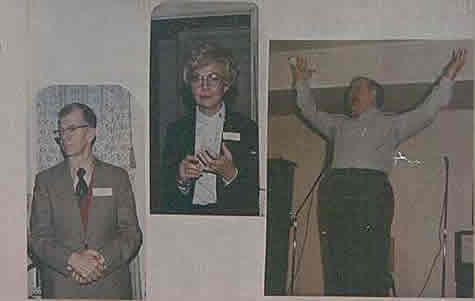 Randy had a beautiful voice for singing; Kirby was already a talented preacher; and I, well, I would discover later that I apparently had been given my scholarship for the sole purpose of singing a humorous song each year at Super Weekend, a Mike Cross song, Little Ditches. Its about a family of undertakers, and they all get involved in earning their riches, putting folks in little ditches, six feet under the ground. As I have to sing this song every year at the beach, I have come to believe that this was the sole purpose in granting me a scholarship. As its said, it takes a village to raise a child, and some of those children turn out to be fools. By the next year, my foolishness may have reached a bit too far, as I showed up at the luncheon dressed in shorts and the Super Weekend T-shirt that I was so proud to wear. So, let me cut to the chase, and say right now, that Lesson #2 in being a good Byrnes Scholar is to dress appropriately for the luncheon. I must say that the family loved me all the same, but I think by this point they were beginning to wonder what they had done by giving me a scholarship. But I wasnt the only fool with a different idea of how to dress. 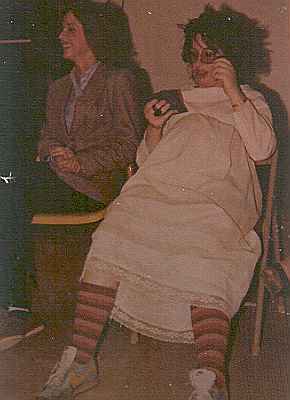 This dear soul is Maryanne Grobusky and she has brought laughter to so many of us over the years. Shes been away from the beach for a while, and Id love to see her again, so somebody here get ahold of her and get her to the next Super Weekend. The real reason you are here today is this man and this woman. 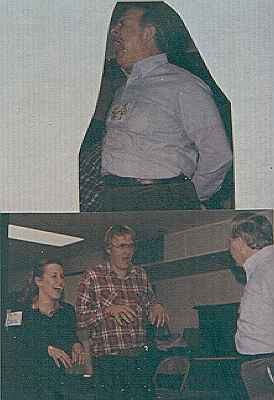 They were such great parents, that it is a shame they could never have children of their own. He started the Foundation in 1948 using proceeds and royalties from his first book, Speaking Frankly, and he began in 1949 to give young people of SC who had lost one or both of their parents a chance to attend college who otherwise would not have that opportunity. They liked being called Mom and Pop Byrnes. 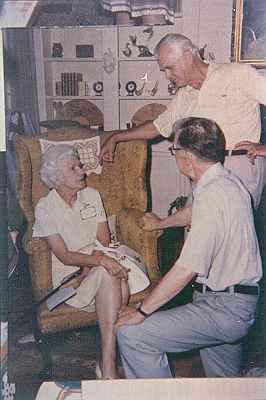 As you know, he died in 1972 and she in 1976, but their love for their children, including now you, lives on in this Foundation. Every year, their love lives on through the lives of those who were adopted in their family, and it is that gift of ongoing love that fills this room. Willie Byrd was the Byrnes right-hand man. He was their chauffeur, their cook, and their general helper. Above all, he was their companion and deeply loved by both Mom and Pop Byrnes. Willie was still alive when I became a scholar, and he was a wonderful man. He is now buried with the Byrnes in Trinity Episcopal Cemetery here in Columbia. 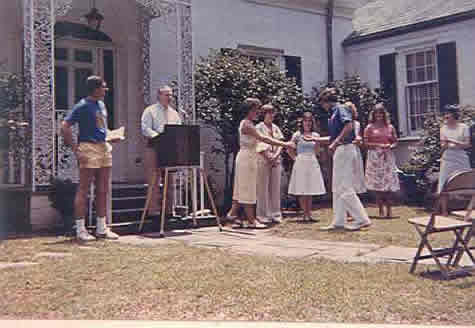 In the early 1980s, the home of Jim and Maude Byrnes was opened for a reception after the luncheon. 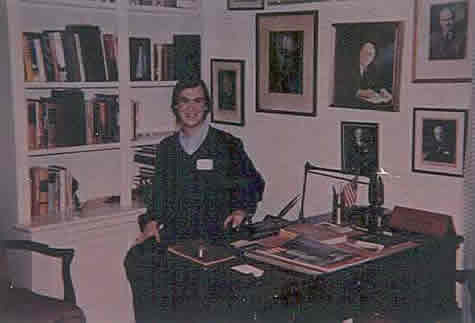 There we could sit at his desk [as 1980 Scholar Neil Johnson does above], in the same room where he entertained presidents and heads of state. In 1969 President Richard Nixon had sat with his friend and political advisor in this very room across this desk. For those of us who never got to know Pop Byrnes personally, it was an important connection to his past. At the home we could also talk with older scholars and friends of Mom and Pop Byrnes, people who had been close friends with them, like General Westmoreland, whom Pop Byrnes helped to get an appointment to Westpoint Military Academy, and Bill Workman, former Editor of The State newspaper and a workhorse for this Foundation. Mr. Workman and his wife used to attend Super Weekend, and I will never forget his wife playing the piano with her feet; its funny how some things become such memories. And on the left is Mrs. Richard Shafto, whose husband also worked tirelessly and gave of himself for this Foundation. As you have heard, Mr. Shafto died just a week ago and is remembered here today. 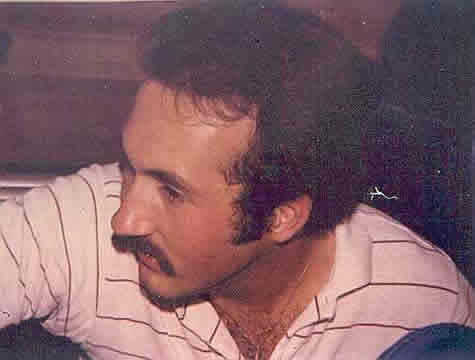 a younger Hal Norton, but he hasnt changed a bit; someday he might grow up. 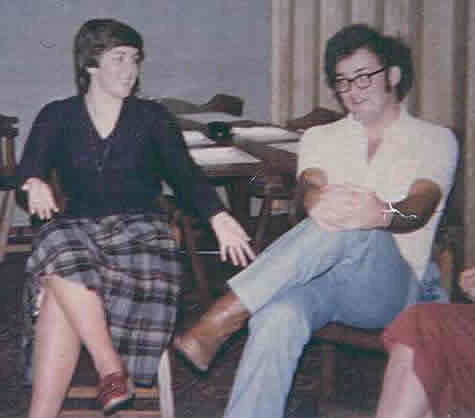 On the left is Jim Hunsucker, a former director and mentor to a lot of Byrnes Scholars who died too young in life. Here, the always lovely Lois Anderson is in the middle, with Bill Workman on the left and Judge Bobby Mallard on the right. Dapper Dal Poston, back when Andy Courtney, his father-in-law called him a tall, skinny boy. 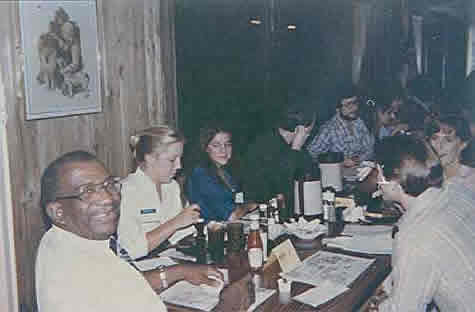 And back when Charles Wall was not on the Board of Directors; he was a student at Furman.
. Henri Duncan hasnt aged a bit, but that Chester guy Im not so sure about. And to those concerned riders of the Winthrop van to last years Super Weekend, the first year Chester had driven the van, I want to offer this picture into evidence that proves, occasionally, Chester is capable of using other fingers on his hand. And I want to close with a few pictures from Super Weekend 1981. You will be attending because you have to attend, but I do hope that you will realize, as all of us have who have gone before you, that once you attend, youll want to come back year after year for the fun and the friendship. Here, on top, Judge Bobby Mallard gives his famous Wide-Mouthed Frog impression. Directors, Alumni, and students alike get the chance to play the Fool and have a good time. Not sure what Dal and Jane Poston are doing, but if you were able to make Dal beg like this at your interview, then you deserve a scholarship to attend the Hogwarts School of Witchcraft and Wizardry along with Harry Potter. I want to close with a slide for you to contemplate for the next nine months. I would not want for you to show up at your first Super Weekend and be embarrassed by your lack of understanding. In this picture is the former Prince of Siam, who later became the King of Siam. I want you to study his face, meditate on his legacy, as he may figure prominently in whether you are allowed to keep your scholarship after Super Weekend in March 2003. You would do well to learn all you can about him this year before March. 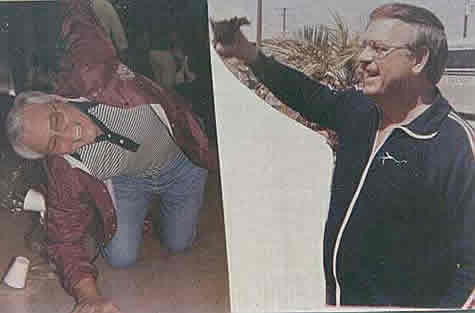 I will start you off with the traditional greeting to a dignitary, Owa. Say it with me, Owa!. Next you address him by his official courtly name, Tagu, and finally call the name of his kingdom, Siam. There will be a test in March, so make sure you spend some time this coming year contemplating these things. I want to turn to a few serious thoughts in the hour that I have remaining in my speech. 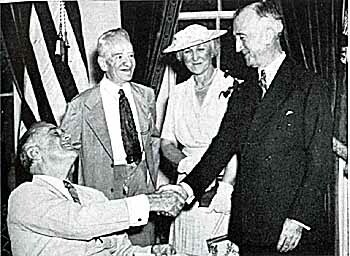 Stories abound about James F. Byrnes the politician, the elder statesman, whether serving in Washington as a congressman and senator, as a supreme court justice, as Roosevelts Assistant President, as Trumans Secretary of State after World War II, and as Governor of SC from 1951-1955. You will find a rich history there to get to know the man better. But I am, by trade, a psychologist, and I often find it fascinating to look further back, into the boy before he became a man, to speculate about all the factors and characteristics, and good fortune, that combined to make the man. He was at heart a humble man who could walk as comfortably with paupers as with kings. To be able to rise from his humble beginnings to accomplish what he did, and to maintain humility, grace, and compassion, without the pride and arrogance that often accompanies power is no small feat. That, to me, is one of the most amazing things about the life of James F. Byrnes. It astounded as many in his own lifetime as it does us today. So, how did he maintain his humility and his compassion for others while at the same time driving himself toward ambition, accomplishment, and power? The following history is summarized from David Robertsons excellent biography of Byrnes, Sly and Able. James Francis Byrnes was born May 2, 1882 in Charleston, SC. His grandparents had been recent immigrants to the United States from Ireland during the potato famine of 1846. They settled on coastal land in the low country and began farming. His father was born in 1856 and grew up on the farm, but in the economic hard times after the Civil War, he moved to the city of Charleston to find work. He had hopes of attending college and building a career. But he found love first, in Elizabeth McSweeney, a young Irish-catholic like himself, and they married and began a family. Rather than going to college to study law or finance, he took a job as a city clerk to support his family. Their daughter Leonore was born in 1879. Two years later Elizabeth became pregnant again, this time with a boy, but before the child was born, his father died of tuberculosis at age 26. Seven weeks later, the boy was born, and while still grieving the loss of her husband, its maybe no surprise that she named her son with the exact same name of her husband, James Francis Byrnes. Jimmys mother was not the kind to sit around. She was a newly widowed mother, with two young children, and she was determined to provide for them as best as she could. When Jimmy was a few months old, she left the children in the care of her mother, and went to New York City to learn the skill of dressmaking, so that she could make a living to support her family. She returned to Charleston and worked day and night to provide for those who depended on her. While the children were growing up, she also took into the house her mother who had become an invalid, her sister, and her sisters son, and provided for all five of these dependents. She was determined to keep their house from being lost to the mortgage company, and she was determined to keep her children, rather than turn them over as wards of the State to the Charleston Orphans House, which was only blocks away from where they lived. The love and devotion she showed for her children and her kin made a big impression on the young Jimmy Byrnes. He possessed good intelligence, and the nuns who taught at his parochial school believed he was smart enough to obtain scholarships to attend college, but, he dropped out of formal education after the 7th grade. He later said that he dropped out of school because he felt impelled by the ambition to help my mother. As a young boy, he had already helped out by delivering dresses she had made for her customers, selling pies and newspapers, and running errands for a law firm. But by the mid-1890s, a new economic depression gripped the entire nation. The family needed him, and he stepped up to give himself entirely to work and to providing for them. The 14 year-old Jimmy Byrnes sought full-time work, and took upon himself the responsibility he perceived to become the man of the family and to support his mother, his sister, and their kin. He found employment as an office boy at the old Charleston law firm of Mordecai, Gadsden, Rutledge, and Hagood. 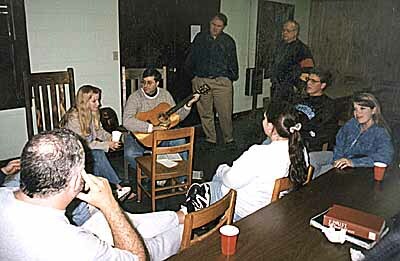 Ron holds court with a singalong at Super Weekend.  photo courtesy of Allen Easler. It has been said that there are two ways to get ahead in life. One is by your own industriousness, your own hard work. The other way is by the incompetence of others. To some degree, you can always count on the incompetence of others. It is true that even if you are not moving ahead, moving forward, you can still stand out if the rest of the pack is moving backwards. But if you leave your future only to that, standing still in the hopes that all those around you are moving backward, then you wont get far in life. There are three points I want to make today, based on the life of James F. Byrnes. The first is that he chose the path of hard work and industriousness. Young Jimmy Byrnes had a work ethic that he learned at his mothers knee. He remarked later in life that no matter what time of day he came home, he seemed to always find his mother working, sewing day and night, to make a living for the family. Young Jimmy Byrnes grew up in an age when one could dream of becoming President and could envision themselves getting there through hard work. He had the ambition; he had the industriousness. There was an energy about him that was bound for success, and he did not waste any time in building his own future, dreaming of lofty ambitions, and working as hard as he could to make them come to life. I think if you want to see the makings of the man, you should begin by looking at the life of his own mother. She worked tirelessly to provide for her family, not only her two children, but for her mother and sisters family as well when they were not able. Jimmy Byrnes learned industriousness and the ambition to work hard and to do his best in his own home, in the face of his own mother. The second point I wish to make today is that he also found the capacity for compassion and care for others there. How often do you hear the stories of men who obtain a bit of power and use that to boost themselves up, or who live to exert that power over others? How often do you see someone who has worked hard to make something of themselves, who has become a self-made man, who then goes on to look down on all others who were not able to rise as high as he has? And not many people amass wealth in this world only to give it all away to help others. Ambition, the drive for power, is too rarely combined with a genuine caring for others, the compassion and desire to use ones power and prestige to lift others up rather than building oneself up. No matter how high Jimmy Byrnes rose in power and in prestige, he never lost sight of those who were in need. He had a good heart, and he used his power to lift up the powerless. When you read his history, you will find examples of compassion throughout his lifetime. The one that comes to mind for us today is how he gave of himself unselfishly to start this Foundation. James F. Byrnes not only accomplished more in his political career than nearly all American politicians in history, but he also didnt settle for being childless. He and Maude Byrnes found a way to help out kids just like he had been growing up, giving young people the opportunity to go to college, something he always had wanted to do but never was able to. He wrote two books and donated all the proceeds from those books. He sold his house on the Isle of Palms and donated that for the Foundation. His estate, after his and Mrs. Byrnes deaths, went mostly to the Foundation. And in his life, he solicited the philanthropy of good friends like Bernard Baruch and others to help children just like you, many of whom come back to this banquet room year after year in appreciation. And many are in this room today. People like Dr. Bill Rowe, Rev. Hal Norton, Judge Bobby Mallard, Mrs. Lois Anderson, Mrs. Carol Anne Greene, Mrs. Jeanette Cothran, and the list could continue on of the number of caring and giving people who learned a lot about compassion from Pop and Mom Byrnes. Many of these have continued their involvement with this foundation for 50 years. There are also others, no less appreciative of what Gov. Byrnes did for them, who are not in this room today, or who have been away a long time from the active Foundation. One example is a man named Bill Marshall who is here today in this room. We met him last night at the Friday night social. In 1957 Gov. Byrnes awarded him a scholarship, which he used for a year and a half to attend the University of South Carolina before leaving to join the Navy. He lost contact with the foundation and with Gov. Byrnes in 1959. But he never forgot what Gov. Byrnes did for him, and after 43 years of being out of contact, this year Mr. Marshall found the James F. Byrnes Foundation website and discovered a family hed been away from for 43 years, and hes come back today in appreciation. This Foundation lives and continues to express the compassion, generosity, and spirit of a great man who started it all over 50 years ago, mainly because he always put the welfare of others above his own self-interests. In addition to his Industriousness, he was also a man of deep Compassion. The third and final point I want to make today is that James F. Byrnes was able to accomplish what he did in his lifetime partly because of the mentorship of others who took an interest in him. Despite his intelligence, his hard work, and his good nature, it is doubtful James F. Byrnes would have accomplished all that he did in his one lifetime were it not for some spark, something in him that people in positions of power and authority recognized early on and sought to nurture in him. Lets face it, being born of immigrant parents, raised by a single mother in relative poverty, of Irish-Catholic heritage, in 19th century Charleston  there were limitations on where his ambition could have taken him. When young Jimmy Byrnes, at age 14, started working for the law firm of Mordecai, Gadsden, Rutledge, and Hagood, a senior partner, Judge Benjamin Rutledge saw Promise in the young boy. His intelligence was apparent, his desire to succeed and to work hard to obtain that success were apparent, and Judge Rutledge took it upon himself to be a mentor, a father-figure for the boy. Though someone of Byrnes upbringing would not have been allowed a library card, which was an expense and a luxury of the upper classes in that day, Judge Rutledge saw that Jimmy Byrnes received library access, constructed a curriculum of readings, and then coached and quizzed him on his readings. But he gave him more than just a classical education, he found that spark of potential in the young boy and did all he could to promote its growth, so that the young boy might overcome his class to rise as high as his dreams could take him. Byrnes learned diligently from Judge Rutledge while doing his job as an office boy for the firm. He also honed his skill at shorthand and stenography, a skill which his mother had encouraged him to learn as a younger boy. She had paid for him to attend courses in the Gregg system of stenography at a local business school, and she continued to tutor him to perfect his skills. Before bed each night, she would dictate a selection for him to transcribe. By the time he reached the age of 18, Jimmy Byrnes was a skilled stenographer. Judge Rutledge encouraged him to enter a statewide contest in Spartanburg, as the upstate was searching for a new court stenographer. Jimmy Byrnes won the competition, and with both the excitement of landing a new job and the reluctance to leave his mother and family, he moved to the upstate, settled in Aiken, and began working as stenographer for a circuit court judge named James Aldrich. Fortunate for Byrnes, Aldrich took an interest in young Jimmy equivalent to that showed by Judge Rutledge in Charleston, and his mentorship continued to foster the career and education of Jimmy Byrnes. You can read the biographies to see how James F. Byrnes political career began at that point. It is amazing and almost miraculous how far he was able to rise in American politics and how he was able to serve his country. The point I want to make in reviewing this early history of his life is that Jimmy Byrnes brought to the table of life of curiosity, hard work, ambition, and dreams of what he wanted to accomplish All in One Lifetime. But his path in life really began to form only after others looked into the soul of Jimmy Byrnes, saw the industriousness as well as the heart of compassion, and saw within him a spark and a Promise. And they responded to that hope for him, and nurtured his growth. I have mentioned earlier today that I sometimes wonder why I was awarded a scholarship. I joke that its only because I can sing an entertaining song year after year for the old-timers to enjoy. But, I think when it comes down to it, I received my scholarship for the same reasons that you are here today, receiving your scholarship and being welcomed into this family. It is the same reason that those directors who faced you across the table at your interview once upon a time received their scholarships. At some point, later in his life, James F. Byrnes gave back what he had received. The kindness showed him, as mentors recognized a spark of promise in him and sought to nurture it, became a part of his kindness. Sometime after leaving his long political career in Washington behind him, he turned his thoughts toward seeking out young people, who were like himself, young people in whom he could see a spark of promise, who had something to give to humanity and who had the drive to accomplish their dreams for the benefit of humanity. In that first year, he found the Dr. Bill Rowes of South Carolina, the Hal Nortons, and then the Lois Andersons, the Judge Mallards, and the Carol Anne Greenes and Jeanette Cothrans. He gave of himself as a father, Pop Byrnes, a mentor and a father-figure, to nurture the spark within them. Pop Byrnes died 30 years ago, but the gift that he started, and the way he fostered the same compassion in his children, the Byrnes Scholars, lives on to this day. And just as Pop Byrnes selected 50 years ago a small number of young men and women who had great promise in life, even so a Board of Foundation directors selected you this year. I welcome you to the Family. And it is a family. From the beginning, Pop Byrnes didnt want this scholarship to be only about the money. That may be what motivates many to apply, but its not what youll find this scholarship to be about. It is all about your promise, your potential, as a young man or woman, for your capacity for hard work and compassion for others, for what you can do to serve others in the name of James F. Byrnes. And in that, we are all a Family, brothers and sisters who share a common loss and who find, in this Family, an uncommon love. Welcome to the James F. Byrnes family!